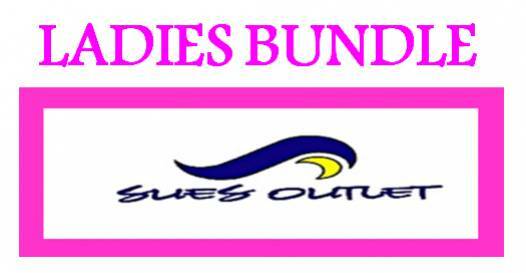 We, Sues Outlet, offer a large variety of affordable yet stylist products for ladies apparel and kids wear for you to choose from. We offer quality and selected products in medium & lower range for your selection and satisfaction. Please feel free to browse through and shop happily in our site. “Priorities in customer service and trust” is our motto, thus, kindly drop us a message should you have any queries or comments. We’re looking forward to be in touch with you and whole heartily hoping for returned customers. MANY THANKS & Regards,Sues Outlet. All items will be delivered via Pos Laju within 3-5 working days. We will only deliver order every Tuesday, Wednesday & Friday. 1. Once order is placed, payment must be made within 3 days, failing which Sues Outlet reserves the right to cancel & resell the item(s) without priornotice. 3. All items will only be delivered after payment is made & received. or call the above number. Note: All accessories not included unless otherwise stated. Personalized configuration of dedicated servers permits special software installs and shell access with minimal fuss or headache.